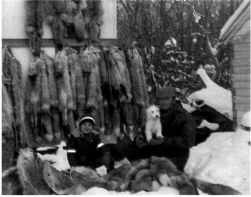 Norman Joseph Brazeau resided on a farm nine miles south of Erickson and was a well-known trapper in the area. In his lifetime, he also did welding, bulldozing and engine repair. He was born on April 2, 1925 and passed away April 23, 1981. 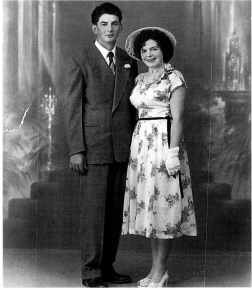 In 1952, he married Marjorie lona MacDonald from Basswood, MB. She was born May 13, 1921 and passed away December 13, 1997. They had five children: Marilyn, Donnie, Islay, Heather and Neil. Marilyn went to Crocus Hill School, then to Erickson for the rest of her schooling. She worked as a hairdresser and held various jobs in the food business. Marilyn now resides in Strathc 1 air with Hal Elliott and sons, Michael and Marty. They mn their own grocery store there. Donnie also went to school at Crocus Hill and in Erickson. He was sadly taken at a tender age of seventeen, as a result of a car accident. In his early years, he was an avid sports player and enjoyed life to the fullest. Islay finished school and lives in Erickson. She married Lance Shell born and now they both winter in Texas. In summer, she works at various jobs and, at one time, had a cottage industry called 'Pudgy Wiggles'. Heather got her education in Erickson and in Brandon. She married Juan Reynosa and had one child, Carlos. She now resides and works in Hinton, AB. Neil went to Erickson for his schooling. He married Audra Todd from Minnedosa. Neil and Audra reside in Minnedosa and have three children: Brendon, Bryon and Thiaya. Donald William, born Febmary 23, 1944, married Mabel Wickdahl, daughter of Gustav and Ida Wickdahl. They have two daughters, Lana Louise (1966) and Carma Ruth (1970). Lana married Ronald Earl Johnston on June 8, 1991 and they have two children: Tyler Donald Alexander, born July 21, 1991; and Nicole Meagan, born August 19, 1994. Lana graduated from Keewatin Community College (1991) with a diploma in Business Administration - Accounting Major. 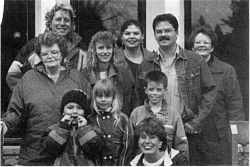 Lana, Ron and family reside in The Pas, MB.